New Luxury 2 Story offered by Kirkwood's premier builder Mahn Custom Homes! 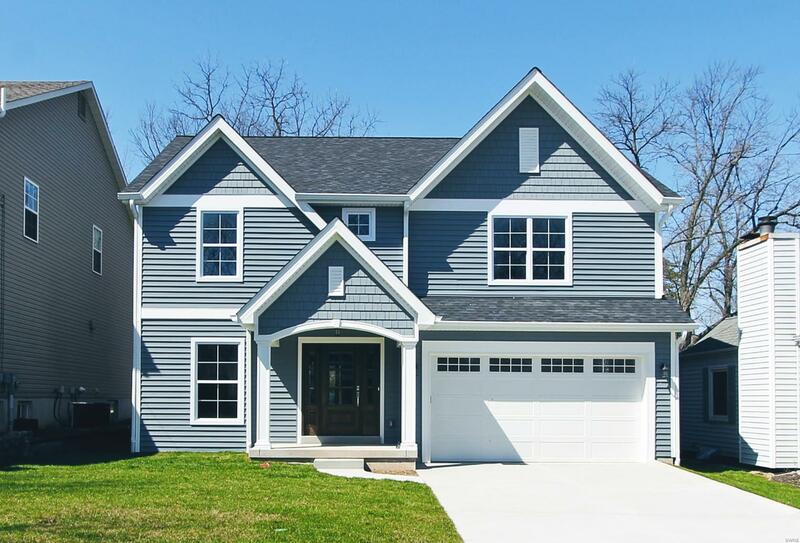 This custom home features an open floorplan, Job Finished Hardwood Flooring, Family Entry off Garage with Cubbies, Shared Bath Plan, and 2nd Floor Laundry. Master Bath offers a 60â Free Standing Tub, Subway Tiles at custom Master Shower to ceiling, and Ceramic Tile Flooring. Kitchen features Painted White Cabinets and Painted Accent Island, Large Island, Quartz Counter Tops, White Subway Tile Back-splash, and Frigidaire Appliances. This home also includes an high level of fit and finish, Moen Gibson Collection Faucets, Pedestal Sink at Power Room, Kohler Elongated Toilets, 5 Panel Doors, Kwikset Tustin Satin Nickel Interior Doors, Custom Stained Mahogany Front Entry Door, Direct Vent Fireplace with Marble Surround, 3 Â¼ Door and Window Casing, 5 Â¼ Base Molding, Crown Molding, Recessed Long Panel Garage Doors with Glass, Custom Lighting Package, and Recessed Lighting! More properties available in the area!